Athletes require strength and stamina to compete. 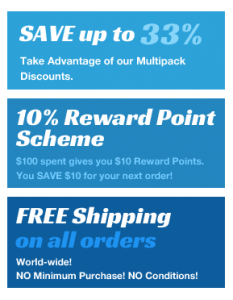 Anything that will enhance endurance and maximize fuel is certainly an asset. During heavy workouts and in times of hunger the body burns its own protein instead of fat. Studies have shown that Colostrum shifts fuel utilization from carbohydrate to fat, actually preventing the body from burning glucose for energy. The additional growth factors in MIP Colostrum keep concentrations in the body high enough so that protein (muscle) is not compromised during heavy workouts. It also stimulates glucose transport in the muscle, making more efficient use of the available fuel. Athletes and body builders often report that they lose weight while gaining inches. Each time we exercise strenuously, we cause minor injuries to muscle tissue. The muscle-building factors in MIP Colostrum repair this damage and strengthen the muscles. The benefits of MIP Colostrum extend to nearly all structural cells of the body. IgF-1 is the best-known compound for synthesis and repair of cartilage. Other compounds known as Transforming Growth Factors A and B are known for their ability to enhance healing and in the synthesis and repair of both RNA and DNA. MIP Colostrum contains both broad spectrum and specific factors that help our body fight off all sorts of viral, bacterial, fungal and allergenic invaders. MIP Colostrum supplements the body with the actual critical immune factors that the body needs to fight infection (Immunoglobulin, Leukocytes, Cytokines, Lactoferrin, Interferon, and PRP). The letters Ig, which means Immunoglobulin, identifies the five types of specific antibodies. These anti-bacterial and anti-viral factors in colostrums are known by the names IgG, IgA, IgM, IgD, and IgE. Most circulate in the blood and lymph systems to bind to invading organisms and to activate specific actions that help rid the body of disease causing agents. Their purpose is to help destroy invading bacteria, viruses, allergens and fungi. One of the real problems with achieving muscular development lies not just in harnessing anabolism (growth) but in preventing catabolism (breakdown). MIP Colostrum helps to build muscle 100% natural in three important ways: It prevents muscle protein from breaking down, it increases the synthesis of protein and it recruits satellite muscle cells that add size to muscle fibres. MIP Colostrum contains two important compounds that work together to accomplish the building of lean muscle mass, IgF-1 and GH. IgF-1 is a small peptide with a more potent anabolic effect than any known compound including all types of steroids. During exercise, IgF-1 is the signal which triggers muscle cell proliferation. IgF-1 works hand in hand with growth hormone (GH) for the building of lean muscle mass. In many studies Colostrum has been proven to improve lean muscle tissue growth, improving muscle recovery and reduce soreness. In these studies, it’s important to note that testosterone levels did not increase, making it an incredible supplement for women too! Note: While colostrum is legal and is not banned by WADA or the NCAA it is interesting to note that it is banned by the MLB for professional baseball players. Why? Because it naturally increases your growth hormones so much that drug testers can’t distinguish it against synthetic growth hormones. The athletes worked out extremely hard and their blood creatine-kinase levels were monitored over a seven day period. Creatine-kinase is a critically important muscle-cell enzyme that has been shown to be a marker of muscle-cell damage if detected in the blood. Thus, when blood creatine levels rise, it is often a sign of significant muscle damage. Compared to team members who drank placebos, the athletes who consumed Colostrum showed roughly one half the blood creatine-kinase levels four days after acute exercise. They also said that they were less fatigued and that their performance seemed to have improved. Colostrum has been shown to improve athletic performance, reduce the incidence of upper respiratory tract infections, and reduce intestinal damage and permeability caused by the administration of non-steroidal anti-inflammatory drugs. Research scientists found that Supplementation with colostrum and whey protein during running training increases intestinal permeability in a study of 31 healthy subjects. And heavy exercise causes gut symptoms, in extreme cases heat stroke partially due to increased intestinal permeability of luminal toxins. Twelve volunteers completed a protocol (14 days colostrum/placebo) prior to standardized exercise. Gut permeability utilized 5 h urinary lactulose-to-rhamnose ratios. In vitro studies (T84, HT29, NCM460 human colon cell lines) examined colostrum effects on temperature-induced apoptosis, heat shock protein 70 expression and epithelial electrical resistance. In both study arms, exercise increased blood lactate, heart rate, core temperature by similar amounts. Intestinal permeability in the placebo arm increased 2.5-fold following exercise, whereas colostrum truncated rise by 80% following exercise. In vitro apoptosis increased by 47-65% in response to increasing temperature by 2°C. This effect was truncated by 60% if colostrum was present. Thus, colostrum supplementation may have benefits in enhancing athletic performance and preventing heat stroke. Buckley JD, Bovine colostrum and whey protein supplementation during running training increase intestinal permeability. Asia Pac J Clin Nutr. 2004; 13(Suppl):S81. Bovine colostrum (BC) is rich in immune, growth and antimicrobial factors, which promote tissue growth and the development of the digestive tract and immune function in neonatal calves. Although the value of bovine colostrum to human adults is not well understood, supplementation with BC is becoming increasingly popular in trained athletes to promote exercise performance. The combined presence of insulin-like growth factors (IGF), transforming growth factors, immunoglobulins, cytokines, lactoferrin and lysozyme, in addition to hormones such as growth hormone, gonadotrophin-releasing hormone, luteinizing hormone-releasing hormone and glucocorticoids, would suggest that BC might improve immune function, gastrointestinal integrity and the neuroendocrine system, parameters that may be compromised as a result of intensive training. A review of studies investigating the influence of bovine colostrum supplementation on exercise performance suggests that BC supplementation is most effective during periods of high-intensity training and recovery from high-intensity training, possibly as a result of increased plasma IGF-1, improved intramuscular buffering capacity, increases in lean body mass and increases in salivary IgA. However, there are contradicting data for most parameters that have been considered to date, suggesting that small improvements across a range of parameters might contribute to improved performance and recovery, although this cannot be concluded with certainty because the various doses and length of supplementation with BC in different studies prevent direct comparison of results. Future research on the influence of BC on sports performance will only be of value if the dose and length of supplementation of a well-defined BC product is standardized across studies, and the bioavailability of the active constituents in BC is determined. PMID: 20030905 [PubMed – as supplied by publisher] Shing CM, Hunter DC,Stevenson LM., School of Human Life Sciences, University of Tasmania, Launceston, Tasmania, Australia. Bovine colostrum supplementation attenuates the decrease of salivary lysozyme and enhances the recovery of neutrophil function after prolonged exercise. 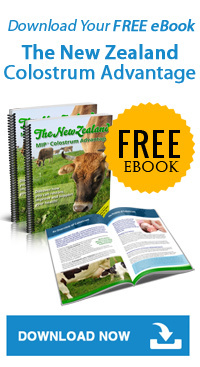 Oral supplementation with bovine colostrum (COL) has been shown to enhance immunity in human subjects. However, there is limited research on the use of bovine COL supplementation to counter exercise-induced immunodepression, as a model of stress-induced immunodepression, and previous research has focused primarily on salivary IgA. The aim of the present study was to determine the effects of bovine COL supplementation on exercise-induced changes in innate immunity (neutrophil function and salivary lysozyme) in addition to salivary IgA. Twenty healthy, active men cycled for 2 h at approximately 64 % maximal oxygen uptake after 4 weeks of daily bovine COL (n 10) or placebo (PLA, n 10) supplementation. Blood and saliva samples were obtained before and after supplementation, before and after exercise. Exercise induced significant increases in markers of physiological stress and stress to the immune system (circulating neutrophils, neutrophil:lymphocyte ratio, immature granulocytes, atypical lymphocytes and plasma cortisol), but there were no differences between the COL and PLA groups. Significant group x time interactions (two-way mixed model ANOVA) were observed for neutrophil function (stimulated degranulation) and salivary lysozyme concentration and release (P < 0.05). Significant exercise-induced decreases were observed in these parameters, and bovine COL supplementation either speeded the recovery (neutrophil function) or prevented the decrease (salivary lysozyme) in these measures of innate immunity. These results suggest that 4 weeks of bovine COL supplementation limits the immunodepressive effects induced by an acute prolonged physical stressor, such as exercise, which may confer some benefits to host defence. PMID: 20030905 [PubMed – as supplied by publisher] Davison G, Diment BC., Department of Sport and Exercise Science, Aberystwyth University, Carwyn James Building, Penglais Campus, Aberystwyth, Ceredigion SY23 3FD, UK.